Now in its XXVII year, this MBA in International Business is a 12 month, full-time, English-taught program, offering a life-changing experience to young and dynamic international professionals, ready for a career boost. 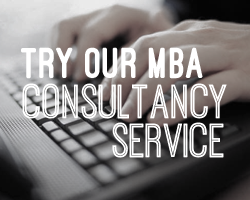 Our AMBA accredited MBA offers a fully flexible curriculum in an outstanding international environment. A perfect location to build a global career, almost 10 nationalities participate every year, with faculty members from 10 countries, and exchange opportunities worldwide (as in USA and China). In the last 3 months, the program can be completed by study tours abroad, international exchange programs, internship and corporate projects. The program can also be split in 2 years (part time edition). Participants can join a global classroom and experience the renowned Italian quality of life, in the charming and cosmopolitan city of Trieste (2 hours from Venice). A quaint and interesting town facing the Adriatic Sea, it is famous for important research and advanced education labs, for an active cultural and multi ethnic scene, as well as for sailing regattas and a lot more. Why Earn Your MBA at MIB? BOOST YOUR CAREER OPPORTUNITIES: a prestigious globally renowned diploma, recognized in 80+ countries. At MIB, we prefer small classes (max 25 people); you will get the best from the MIB Team, Faculty, Colleagues and Partner Companies. GOING GLOBAL: our MBA counts 8-10 nationalities per classroom, classes are lead by faculty members from 10 countries, you have the opportunity to do an exchange study around the world in the second part of your MBA. At MIB you will train to be a “crisis-proof” professional, with no fear of change, but with the unique capability of living it as an opportunity. GOING ETHICAL: the “MIB MBA way” will allow you to experience the importance of giving back, of meritocracy and of team spirit. Upon completion of this program, students will hold an MBA degree. Tuition fees for this Executive MBA in International Business program are €25,000 (including VAT). Merit Scholarships up to €10.000 are also available. Inquire for more information.